Having an RV is like owning a moving house that’s constantly experiencing earthquakes. So it’s no surprise when parts rattle loose and systems break down. When you need RV repairs, come to Iron Horse RV and we’ll get you taken care of. If you don’t see your problem in this list, don’t worry. There are only three things we don’t do at Iron Horse RV: engine rebuilds, internal generator work and rear end replacement. We have everything else covered. 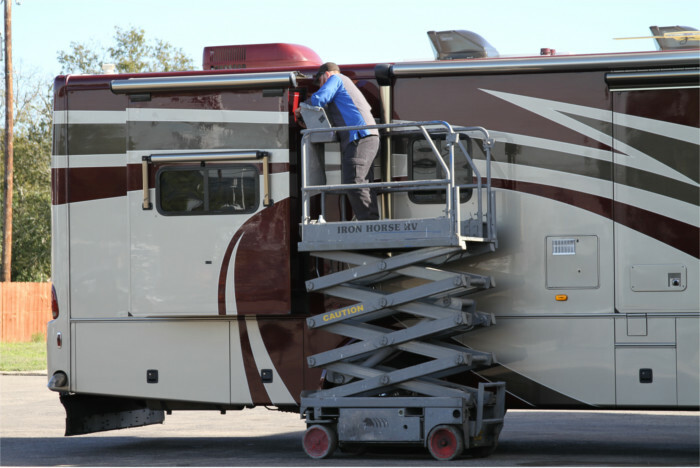 So contact us today to make an appointment to get your RV repairs taken care of.